Henry Reid purchased what is now Dunorlan Park in the 1860s. The gardens were designed by Robert Marnock, and James 1 was engaged to landscape and construct a balustraded terrace, an artificial lake, cascade, rocky stream and summerhouse. 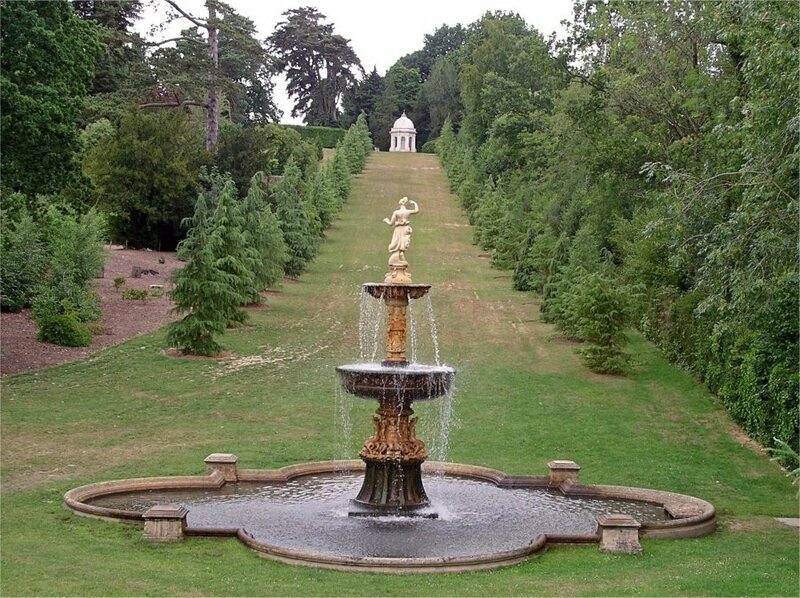 Their ‘Hebe Fountain’ – originally designed and made for the International Exhibition of 1862 – was later installed in Dunorlan Park. The entire grounds and fountain etc were completely restored in 2004 with the aide of funding from the Heritage Lottery Fund. An additional ‘Chapter’ was published each month over a period of five years on this website under the tag of ‘Where? / Site of the Month’, and these can now be accessed alphabetically under this comprehensive ‘Where? / Gazetteer’ tag, so don’t miss those. Click on the link to see the complete list of Pulham sites described and illustrated by Claude Hitching. A full description of James Pulham’s work at Dunorlan Park – together with a number of pictures – can be found in Chapter 5 of Rock Landscapes: The Pulham Legacy – the definitive story of the lives and work of James Pulham and Son. Written by Claude Hitching, with featured photography by Jenny Lilly. Published by Garden Art Press. Posted on August 20, 2014 June 25, 2016 by Claude HitchingPosted in Book ContentsTagged Claude Hitching, Dunorlan Park - Tunbridge Wells, Hebe Fountain - James Pulham, Henry Reid, James 1 Pulham, robert marnock, rock, Rock Landscapes: The Pulham Legacy.